Inspired by Tribal Tattoo design. This raw yet intricate style of art has its roots set firmly in many cultures and is used to express a huge variety of statements and beliefs. Here, the emphasis is on feminine curves, movement and joy. 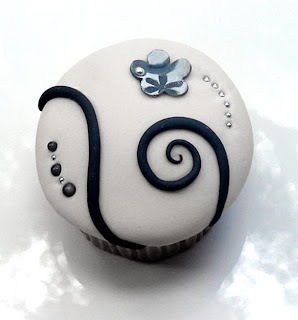 All decorations are made with gum-paste, fondant and silver cachous. Learning all about tattoo designs. WOW!! 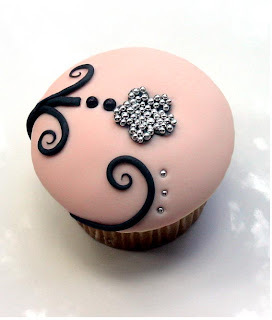 I love this, my kind of style for cupcake designs.. I would like to ask, does the 1st picture above (in pink) belong to you? 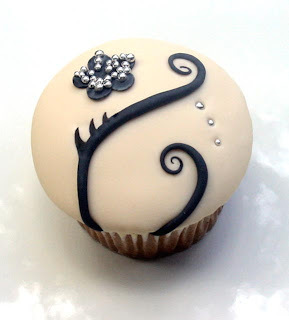 Because if it does, I would like to notify you that a company called Cake Desire [ http://www.facebook.com/pages/Cake-Desire/261195667231041 ] has taken your photo and used it for their cupcake company, I'm lead to believe without permission. I hope you will do something about this.